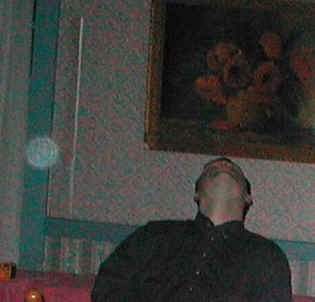 This picture was taken by Hillary Murdoch in the "blue room" just before the activity began to pick up. 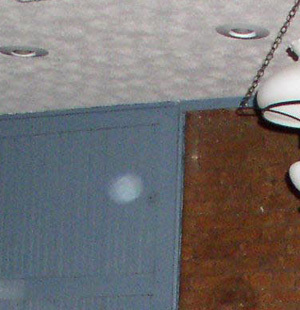 This picture of a moving orb was taken by Robert Hall. This picture was taken by Paul Murdoch when Robert (pictured) stated that he felt a temperature change. No change was recorded. This picture was taken, from a different vantage point, seconds after the picture to the left. 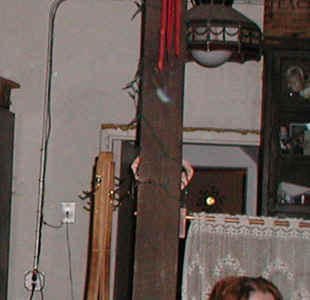 Is it the same orb, moving past Robert to the doorway? 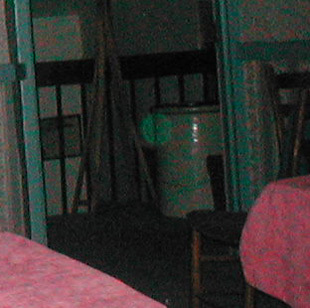 This picture of an awesome, bright-green orb was taken by Paul after Kelli said that someone was in the stairway. 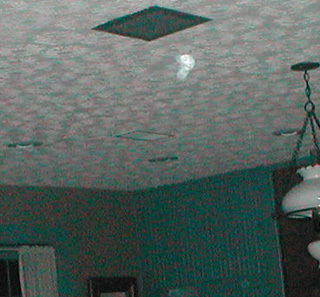 Paul also took this picture of a pink orb in the stairway. 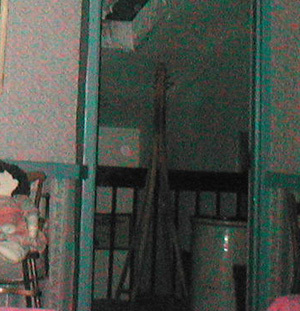 This stairway has proven to be an area of high activity, which is perplexing since the original stairway was located elsewhere. 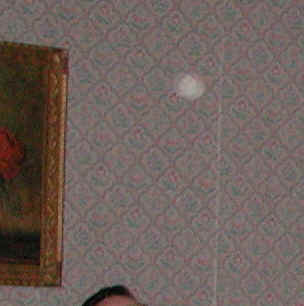 This picture of a moving orb was taken by Paul. 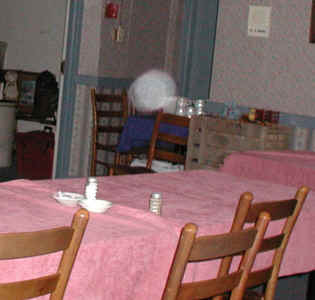 This picture, taken by Hillary in the main dining room, reveals a small moving orb above Kelli's head. This anomaly did not appear in any other pictures from the same vantage point.